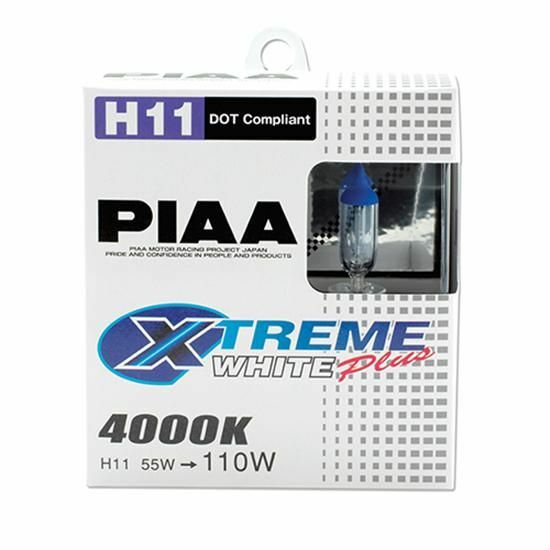 The PIAA H11 Style Xtreme White Bulb provides intense white light at a 4105K rating to illuminate road hazards and street signs long before normal halogen bulbs, with a slight blue topcoat tint for enhanced curb appeal. Manufactured to SAE recommended specifications and DOT compliant standards, this bulb provides 110 watts of light for 55 watts of power (55=110 watt) and is made with a high-quality, heat-resistant tube. This product comes with 2 bulbs for the Scion FR-S headlights. I ordered the incorrect bulb.